From hair growth to skin calming, it really can do it all. Sometimes nature creates something so perfect on its own, it needs no additions. This is the exact situation with a beloved Amazon beauty product that 3,766 reviewers can’t stop talking about. Kate Blanc’s Cosmetics Organic Cold Pressed Castor Oil is the talk of the town, and we can see why. Castor oil comes from the castor bean plant. Interestingly, the castor beans are actually toxic to consume (thanks to the poison ricin naturally found in high levels in the bean). But when extracted from the plant, and applied to the scalp, the oil can be tremendous for hair growth, thanks to that ricin, which is converted to ricinoleic acid when extracted. The oil has incredible anti-inflammatory and antibacterial properties—two factors that make this $9.99 bottle of castor oil so brilliant. Scalp inflammation constricts blood flow to follicles, which reduces the level of nutrients—a direct cause of hair loss. So an anti-inflammatory product can help reverse those problems. The antibacterial qualities will ensure no bacteria or fungal infections are lurking—a problem for some with constant scalp issues or discomfort, which is why castor oil is a key ingredient in dandruff shampoo and treatments. Thus, why it’s a brilliant oil to help stimulate hair growth, helping hair naturally grow longer and thicker quickly. To use, put a few drops in the palm of your hands and massage into damp hair, just at the roots. Let it sit for a few hours, or overnight (put a towel over your pillow to protect it from the oils). Then shampoo the oil out, ideally with more of a cleansing shampoo, like Christophe Robin Cleansing Purifying Scrub, to entirely wash out the oil. The same brilliance comes into play for eyebrows and eyelashes, too. The oil can stimulate brow and lash growth—some commenters swear by it, saying it’s made their lashes and brows stronger, thicker, and longer. It makes sense, as castor oil is usually the main ingredient in a lot of brow and lash growth formulas. Kate Blanc’s oil is imported from India, cold-pressed (so it’s unrefined and pure), and the only ingredient in the bottle is organic castor oil. Castor oil, if you’ve never tried it, is thick though, more of the consistency of honey than a traditional oil—just so you’re not alarmed when first trying it. If hair growth wasn’t enough, commenters are also raving about its incredible face calming benefits. A commenter named Santi Church says, “I think what I have noticed the most consistently though is how much it helps my skin!! It’s been helping my acne and acne scars heal which is amazing because you wouldn’t think that putting oil on acne would help but it has! It’s also helped my eczema a loooot. I have a spot on my chin that literally nothing has helped, but this has made a noticeable difference, and I’m sure if I kept up with it better it would be gone.” Makes sense, because a lot of acne occurs due to inflammation, thus why an anti-inflammatory oil would be so beneficial. 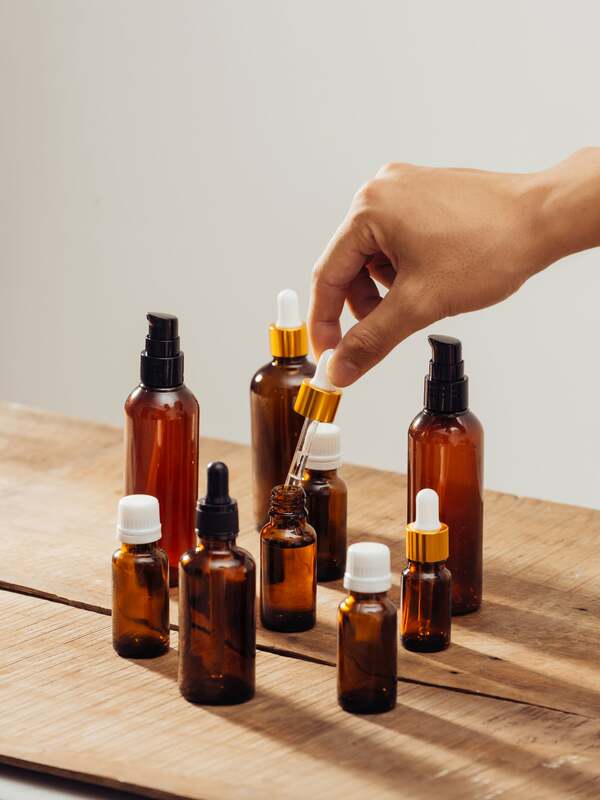 Ed note: Because castor oil derives from a plant, you should always do a spot check first, testing it on a small area of your skin before you apply it everywhere. Some people can have adverse reactions to certain plant-based oils. This story was originally published in April 2018, and has since been updated with new information.